This competition is now closed, winner to be announced shortly, thanks for your participation! 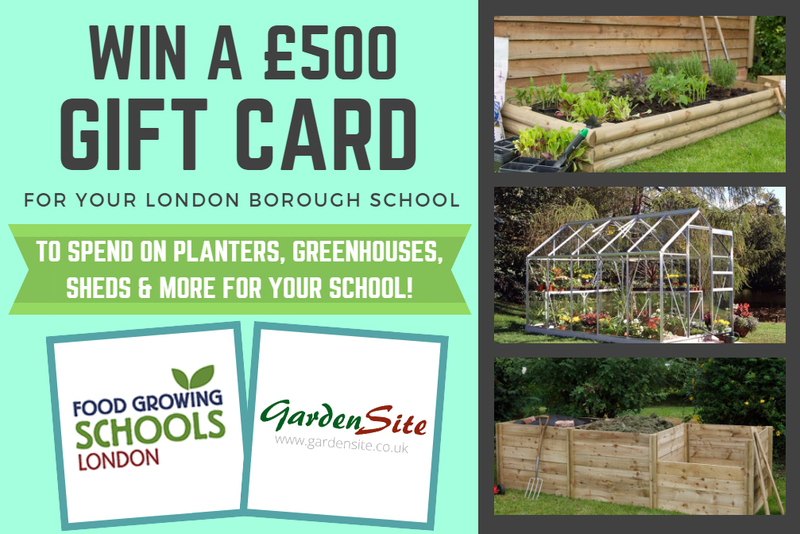 As part of our Grow Your Own Picnic summer activities, we’re pleased to have teamed up with GardenSite.co.uk to offer one school in London a £500 voucher to buy garden equipment and items from their website! To participate, please tell us in 50 words or less about your current food growing activities, plans for developing you school garden or your school’s summer picnic plans. Let us know how a voucher from Garden Site could help you reach your school food growing goals! To participate, you can email us the information or fill out this simple form here. Terms and conditions details can be found here. Don't forget to share photos and food growing updates throughout the term on Twitter using #GrowYourOwnPicnic to let us and other schools know how you’re doing! GardenSite, one of the UK's leading online garden retailers have teamed up with us to offer a fantastic prize of a £500 voucher, which can be used to purchase gardening items from their range of around 10,000 products. Whether it be a new greenhouse or shed for your school grounds or even a selection of garden planters perfect for growing a wide variety of fruit and veg, the £500 can be spent on a huge variety of products that will help maximise your school's growing potential. If you're in need of inspiration on what to grow over the next few weeks, take a look at our handy Grow Your Own Picnic guide which offers suggestions for what can be sown and harvested during the school term. Alternatively, GardenSite have their own handy guide on What to Grow In Your Greenhouse which covers the entire year!